No matter what the application, modular drop-in skid based design allows us to meet customer needs efficiently and effectively. ProgressiveEnviro.com will determine the correct system requirements with the customer based on current vs. desired water quality, become comfortable with the designated installation space for the skid unit, and then provide estimated cost and delivery times up front. The water treatment skid system is then connected to power, water and/or other utilities on the site. All tanks, pumps, valves, filters, treatment technologies, instrumentation and controls are factory assembled and tested prior to shipment. It is a custom system, plug and play so to speak, and it removes the time, energy and expense working with existing on-site equipment and infrastructure. There is very little production downtime or unforeseen start-up delays. ProgressiveEnviro.com will design a system to your specifications, test it, supervise installation and then do follow-up monitoring and testing to ensure correct output. 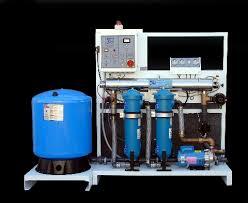 "ProgressiveEnviro.com provides industrial and commercial water and wastewater treatment and filtration. We have 40 plus years experience in cooling towers, boilers, heat exchangers, and irrigation. 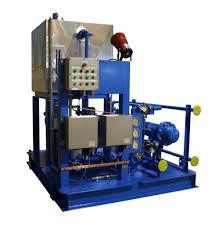 We can also design and specify both components and turnkey systems for water and wastewater reclaim. Let us quote your project!" 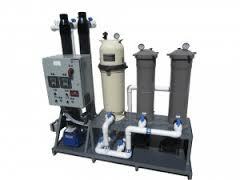 ProgressiveEnviro.com provides water treatment and filtration skid equipment that is designed and built to specifications and easily installed with other existing equipment. Modular skids help to seamlessly integrate new water treatment technology into a customer's overall water or waste water process system. Skid systems shorten the time span for production and installation; reduce spare parts, and require little maintenance once installed.